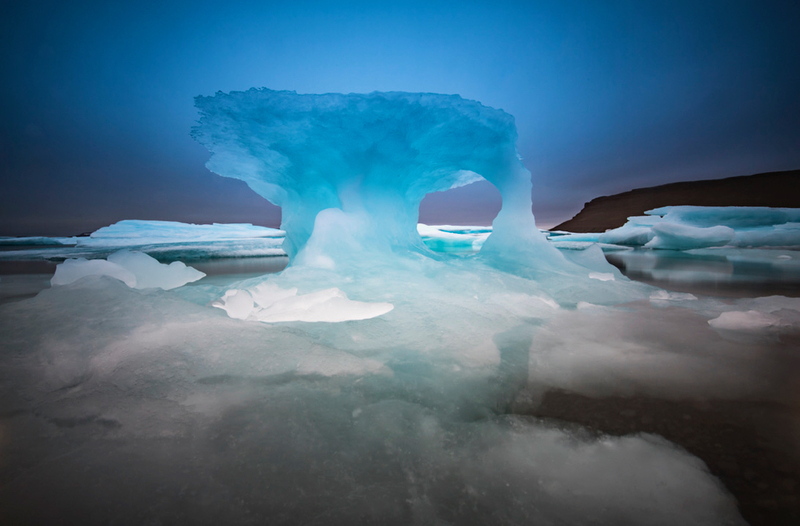 The High Arctic takes celebrated Canadian photographer John Lehmann by surprise. Instead, says Lehmann, what he observed was the very opposite. 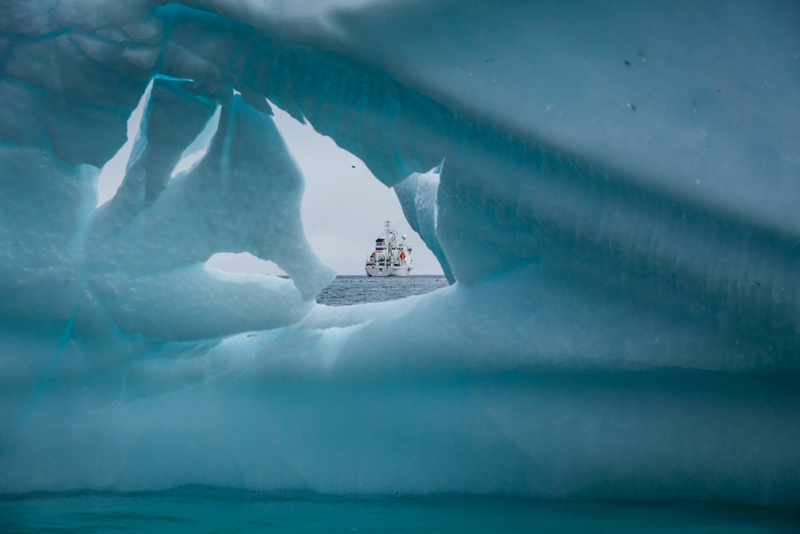 “The landscape was incredibly diverse,” says the photographer, who was a guest on a trip called the High Arctic Explorer with polar cruise specialist One Ocean Expeditions. Taking photographs up north during summer, when it’s light out 24 hours a day, is a unique experience for someone unused to these rhythms. The light is clear and pristine and makes for intense colourscapes. Aside from polar bears, ice is king in this region, dominating the landscape and governing where we travel. Visually, it’s captivating. 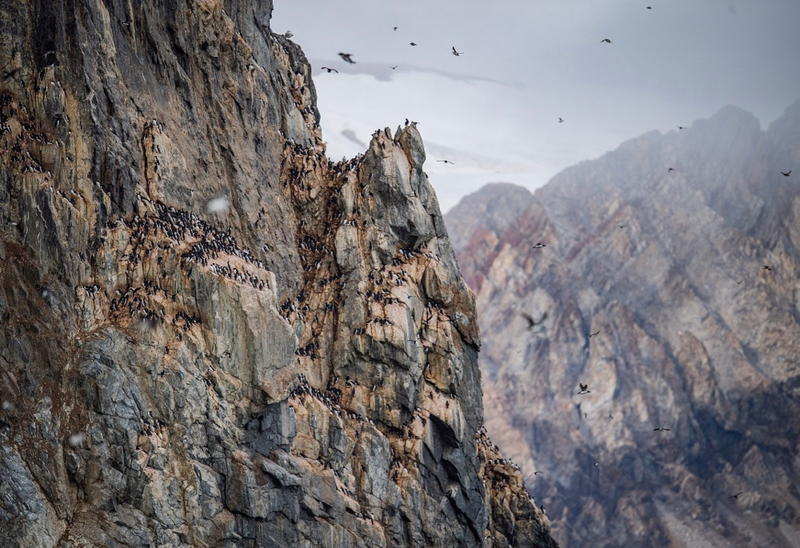 The High Arctic is home to massive rock formations and cliffs that house sea bird colonies such as this one. These outposts are dramatic and otherworldly, something I’d never experienced before and something I’ll likely not see again. I can tell you that the birders among the expedition’s 100 or so guests were very excited by what they saw. A few years ago, I photographed polar bears in the summer during a visit to northern Manitoba, near the shores of Hudson Bay. It’s extraordinary to see polar bears amongst the wildflowers, and quite another thing to see them in this vast, icy corner of the world. 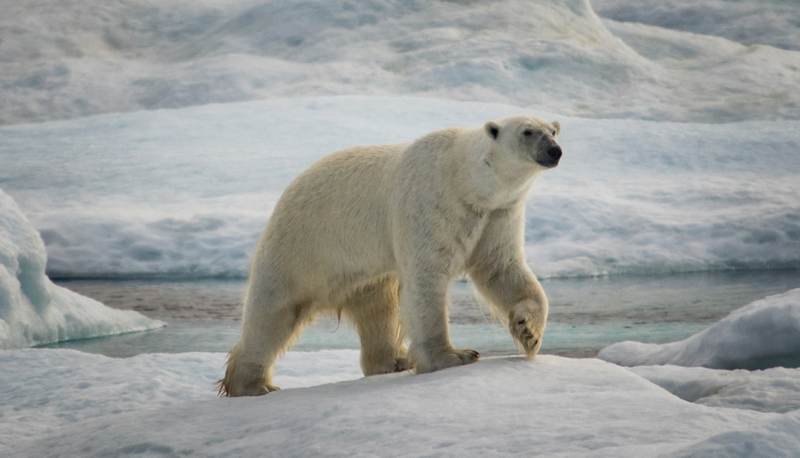 This powerful animal would dive into the water and pull himself up on an ice floe like it was nothing. I have a lot of respect for these bears. I love watching them move. We were lucky to make a stop in Arctic Bay. 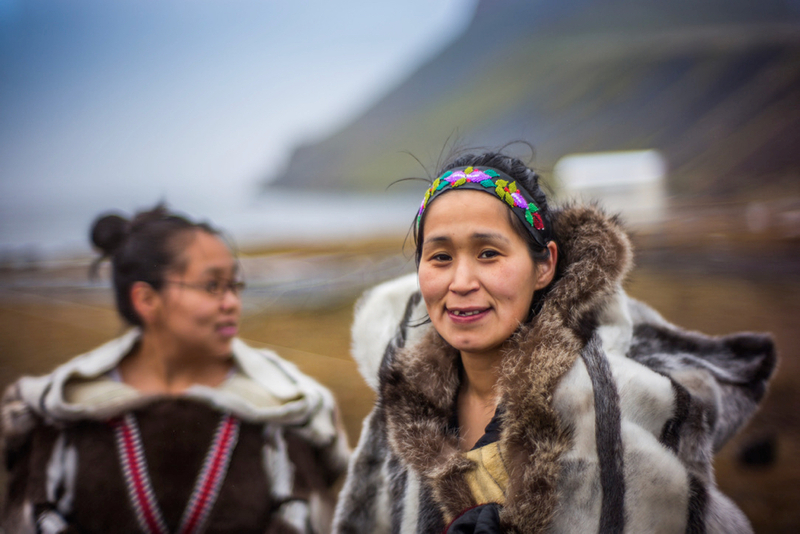 These Inuit women, whose first language is Inuktitut and who speak English as a second language, came out to greet us and to talk about their community, culture and traditional clothing. They were friendly and helpful, and it was such a beautiful location. Even the local cemetery was beautiful. 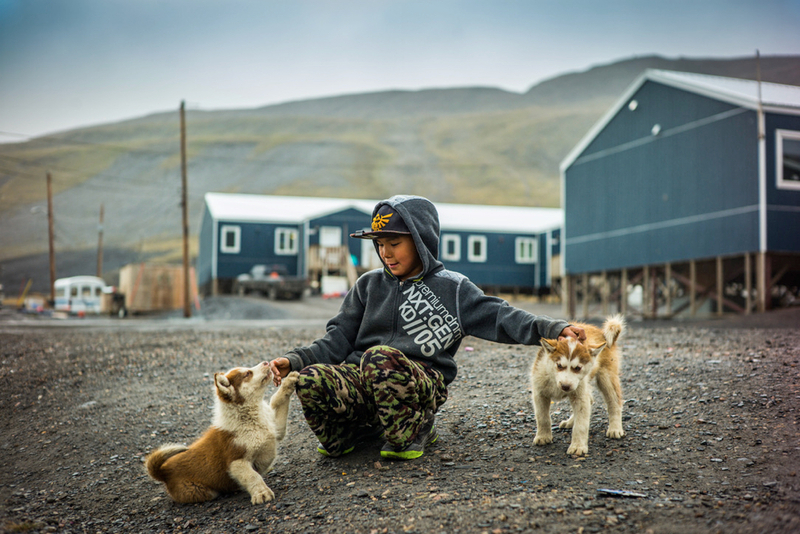 It was clear that the people living in Arctic Bay take great pride in their community, which felt well-tended to, and loved. Every day, we’d gather at breakfast and talk about the day’s itinerary. 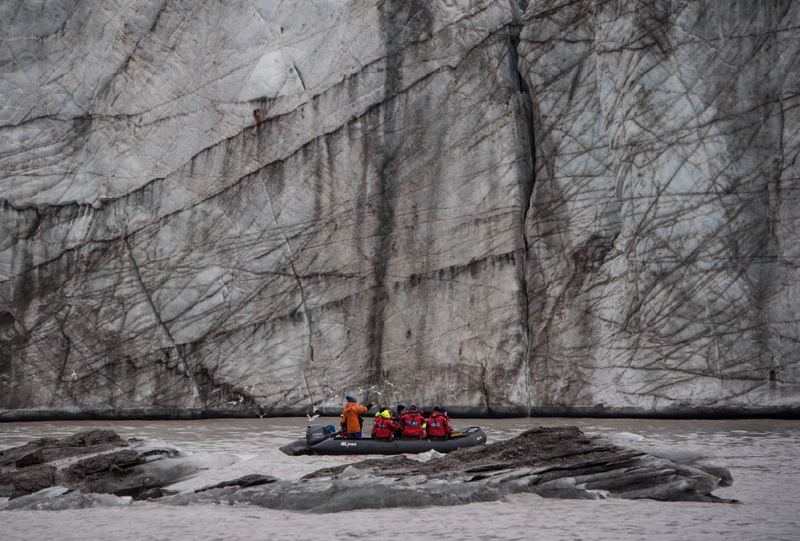 Here, we were able to leave our ship — which is ice strengthened and doubles as a scientific research vessel — and Zodiac up to a glacier. I was taken with the texture, colours and patterns in this ice, which is ancient and probably melting. It reminded me of elephant skin. Given its size, it also reminded me of how small humans are in the face of nature. You can see our ship in the background here. We came across this dead narwhal that had been hunted by Inuit because they use the whales as a source of protein. 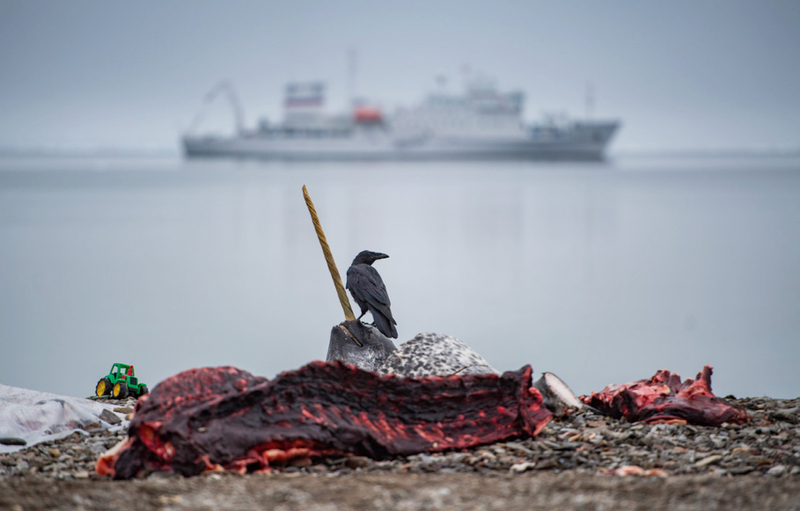 I like this image because it was reassuring to see that traditional Indigenous practices are alive and well in the High Arctic. In one instance, we were able to watch a demonstration of a woman scraping the skin off of a seal hide. It wasn’t easy. There’s a lot of human power required. The woman was quite elderly and it was impressive to see her work, to witness how strong she was. 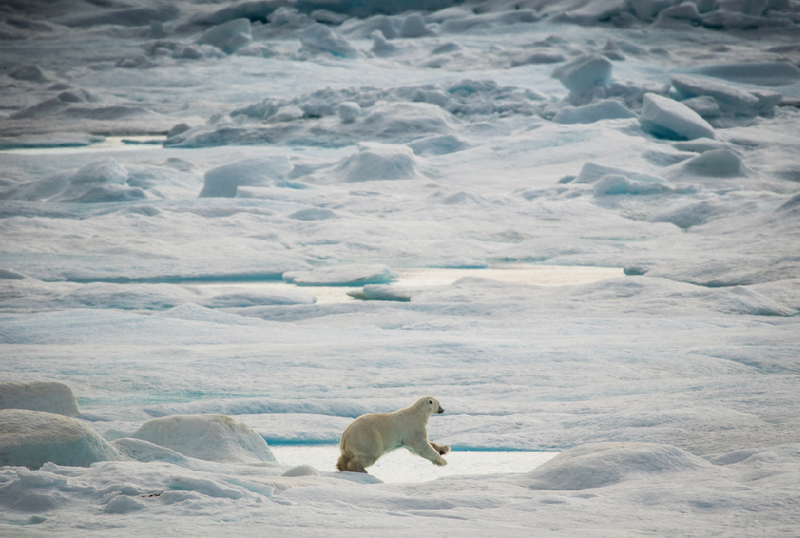 I took this shot in Arctic Bay. What surprised me about the locals and the children in particular was how much they use body language. They don’t use a lot of words. Raising their eyebrows might mean “yes” and if you’re not briefed beforehand, you might get confused. These pups will likely grow up to be sled dogs. I can’t emphasize enough how warm and open Arctic Bay residents are with visitors from outside their community. My primary purpose during this expedition was to take photos. I didn’t have an opportunity to kayak, which always looked amazing because these guests would get extra exercise and independence during our voyage. 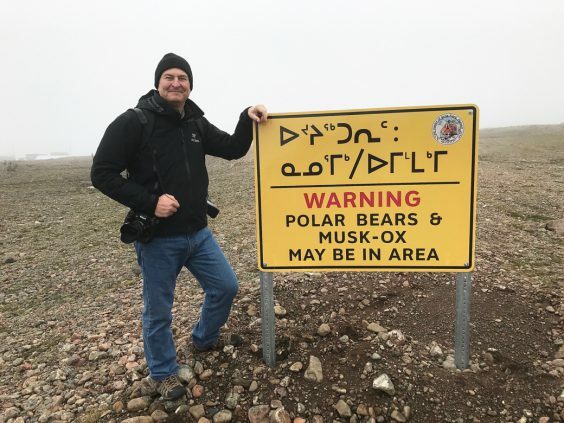 But I was able to take part in the daily hikes, explore the ocean in Zodiacs, and visit the burial site of Sir John Franklin’s deceased crew members on Beechey Island. Seeing the grave stones felt historic given the outcome of this ill-fated expedition, which took place in the 1840s. I would also learn that One Ocean Expeditions was instrumental in the discovery of Franklin’s lost ship, the HMS Erebus, in 2014, which is pretty cool. I’ve had a diverse career — covering world events all over the planet for sports or news photography assignments. More recently, I’ve had a chance to explore wildlife photography. I’ve enjoyed it because it’s so different from what I do day to day. It involves travel to exotic locations, such as the High Arctic, and a lot of patience. The detail in this photo really speaks to me. His paws. His intent. He’s on a mission, likely looking for food and, wow, is he ever majestic. I’ve worked as a photographer on every continent on the planet except for Antarctica, which is my next goal. My sense is that if people go on this trip, it’s because the north is somewhere they really want to be. You don’t casually go somewhere like this. You go because you’re genuinely interested. I’ve returned with huge respect for the resilience of those who exist in the High Arctic, the people and the wildlife. The experience has rounded out my view of life on earth. 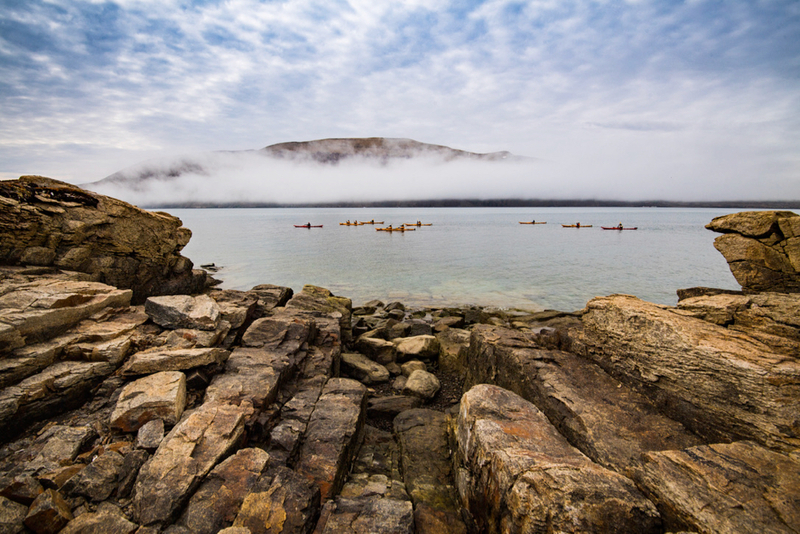 Editor’s note: Photographer John Lehmann was a guest of One Ocean Expeditions. The company did not review or edit this post before publication. thank you for your story and amazing photos – my son guides in this area – so really warms my heart and brings me closer to him when I read your story—thank you! thank you for your story and amazing photos-my son guides in this area-so really warms my heart and brings me closer to him when I read your story-thank you!